All of the Intech Equipment and Supply spray foam rigs are built with spray foam professionals like you in mind, providing a level of performance that a contractor should expect and rely on. 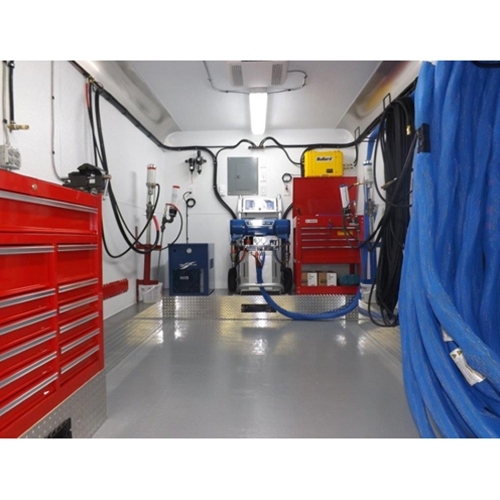 The Pro Series spray foam rigs are typically customized by the contractor and the rig designer to be the perfect fit for a commercial or industrial application. We assist the contractor on proper layout to ensure load distribution, and also sizing the engine room to accommodate their chosen Proportioner(s). The basic design of the spray foam rig is built around our professional knowledge of what high performance output requires. Starting with the truck or trailer, many of our Pro Series rigs are built for extreme outputs with single, dual and even triple Proportioner layouts. 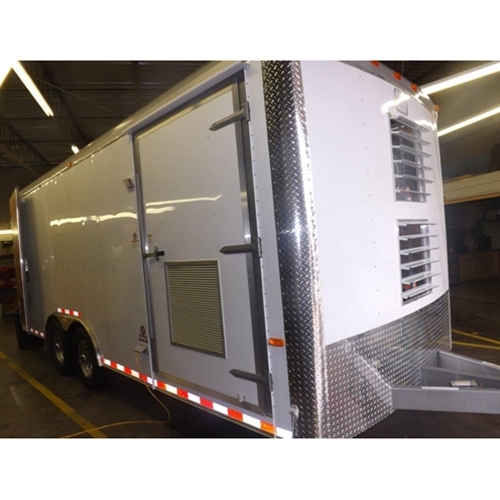 Once the contractor approves the equipment layout, our production team goes into motion, assuring that nothing less than top-notch aesthetics and high quality products are used for the manufacturing of a Pro Series spray foam rig. This series rig is built to typically accommodate a minimum of 2-3 sets or customized to an ultimate output by direct feed out of totes. The Pro Series rigs are the mother-ship of quality, an outright power plant of spray foam performance. 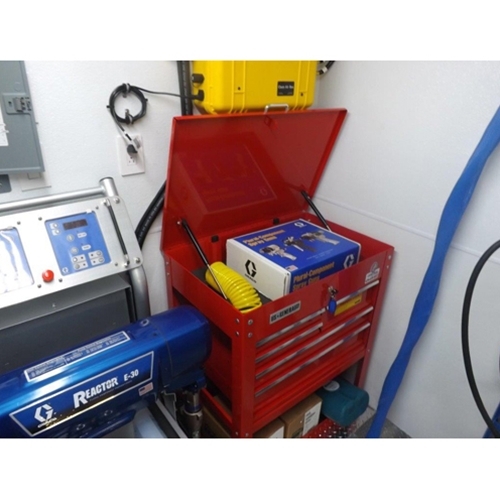 The service room interior is outfitted for extreme duty, from the true multi-zoned climate controls to an ergonomic lay out that assists contractors in productivity and maintenance. The engine rooms have engineered airflow to ensure longevity, safety and easy maintenance. 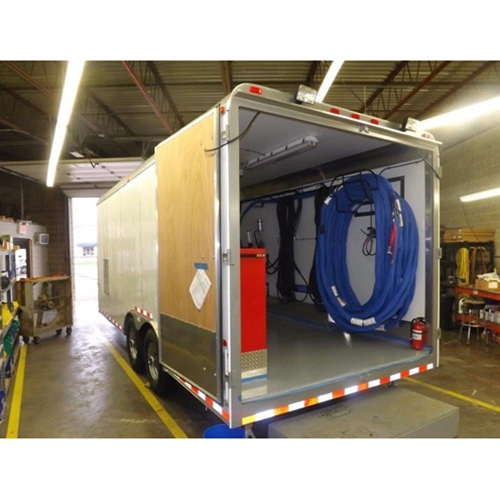 Design your ideal spray foam rig with our seasoned experts, and ensure your investment lasts a lifetime! Complete Package is ready to spray and includes FREE factory training.